If you thought the day was a little on the hot side, go home and take a cold shower or hell, knock on a stranger’s door if you thought your house was too far away and ask to use their shower! The outcome would probably be a lot less painful. And if you really wanted to be in the sea, at least restrict yourself to a short paddle in ankle-depth water – Jaws can’t sneak up on you then. Entering the water after a beach has been closed and then swimming 40m offshore is just asking for trouble. It’s not manly or macho to bathe with big fish that have a set of teeth to match their reputation. 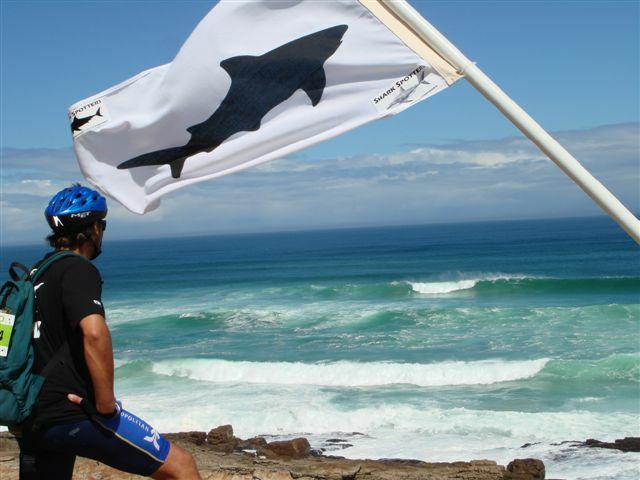 Whilst you can’t help but be a little sympathetic towards any person who loses limbs in a shark attack, the sheer stupidity of the guy was ultimately his downfall. 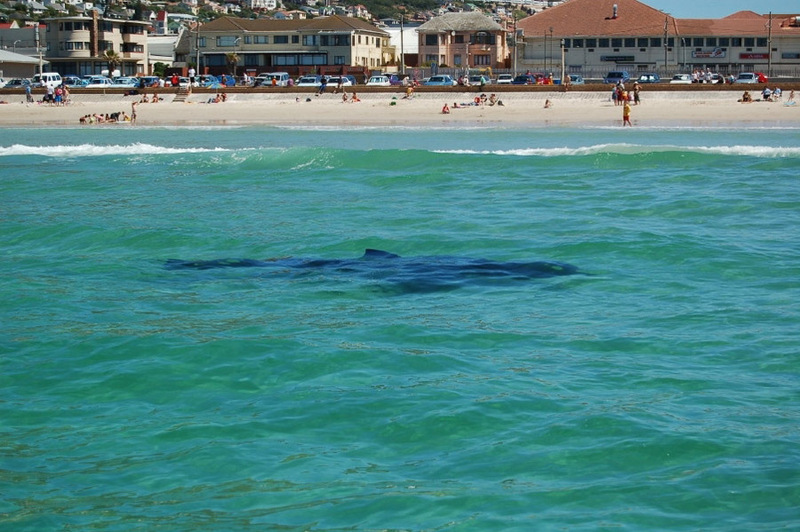 I’m sure he knew what he was doing at the time….and so did the 4m-long shark. Life 101: the hard way! 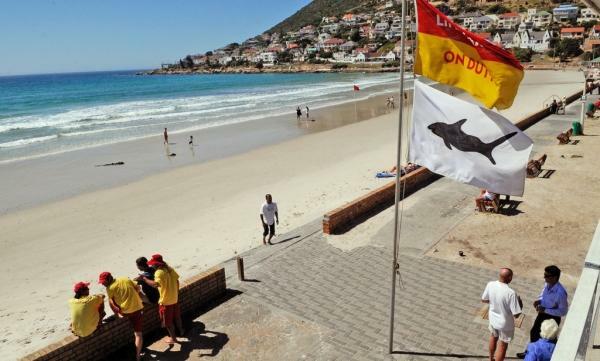 This entry was posted in In the Media and tagged beach, Fish Hoek, flags, incident, shark attack, shark spotters, swimmer by thewhippedhusband. Bookmark the permalink. This guy was totally nuts wasn’t he? He was very lucky that two brave men jumped into the water to save him. I’m not sure that I would have been able to do that. Completely off his rocker! I’d be ok if I swam out with someone else to help him, but when you’re in the water alone with something so stealthy it’s frightening. I went cage diving with them and it was awesome – the largest we saw was a 3m and it just disappeared so quickly.